Let’s face it, no one wants to receive damaged goods, and Gimko certainly does not wish to have unsatisfied fellow card hobbyists. The following guide outlines reasonable endeavors that should be taken when packaging and shipping cards to ensure that in most cases cards arrive undamaged or are not lost due to postage. 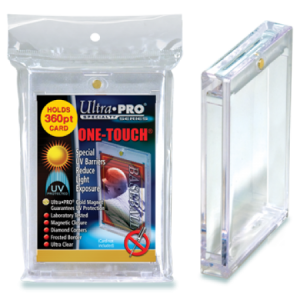 Card should be placed in appropriately sized toploader or magnetic one touch holders. If using a toploader, each card should be placed in a penny sleeve. There are two simple methods that can be used to work this out on your own. 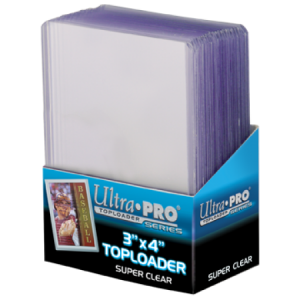 NOTE: Calculations are estimates based on Ultra Pro products (toploader and magnetic one touch holders), as these are the most commonly used for protection in the card collecting hobby.